In this Wednesday, Nov. 8, 2017, file photo, Gabi Dugal, left, and Scotty McCreery arrive at the 51st annual CMA Awards in Nashville, Tenn. The pair got married Saturday. Scotty McCreery is officially off the market. 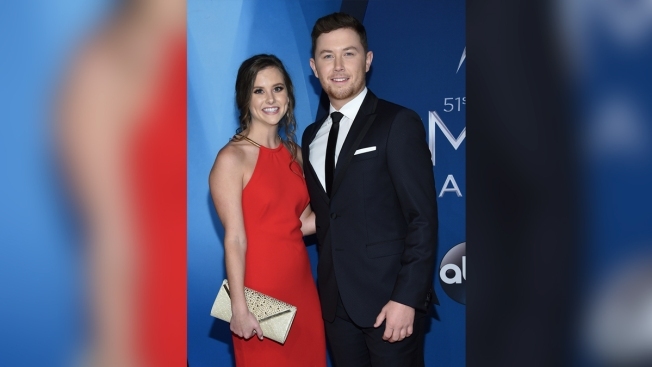 The 24-year-old American Idol season 10 winner and country crooner married his high school sweetheart and girlfriend of six years, Gabi Dugal, on Saturday.